Entertaining wine media folk is not an easy task. IMAGINE you have a new wine venture and you’re now ready for some media coverage. How hard can it be to get press people to cover your event? Well, it’s not as easy as you think. Like any successful party, you’ll need well-laid plans. Having good friends in the media also helps. If you’ve got the budget, and don’t want the hassle, hiring a PR agency might be the way to go. 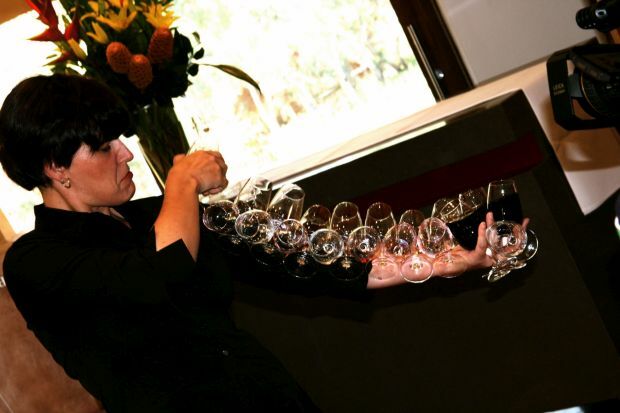 Wine media events are often elaborate affairs but also have to be efficiently executed. For starters, you’ll have to attract busy journalists and writers. Do you have a story for them? If you’re another wine shop opening up, what’s different about you from the other hundreds of shops in the city? Make sure you have an angle that’s easy fodder for their article. Press folks know that there is nothing such as a free lunch (or dinner). Remember it’s still work time for the press. As most wine media events often involve food (since wine and food are inseparable), keep the event short and sweet. Journalists need to get back to their desks to file other stories and meet deadlines. When choosing venues, PR agencies have to consider several factors – head count requirement, budget, ease of public transport to/from venue, audio-visual facilities, quality of food and service and so on. Then there’s the politics. That ranges from the spelling of names and honorifics of guests and speakers. There’s also the personality clash. It’s a fact that some wine experts/writers refuse to be seated with others. I witnessed that for myself recently. A long table was dismantled and seating was rearranged at two round tables for wine folks who didn’t want to be seated in proximity to their “rivals”. For your event to “come alive” or be memorable, you need to entertain jaded journalists that have been attending a slew of lunches, and dinners. Sometimes it’s planned and at other times, it happens all by itself. First the latter. In Australia, journalists started streaming in for lunch when tables had not yet been set with wine glasses. Instead of panicking, a deft waitress spontaneously started to stack 20 or more wine glasses from a side table onto her elbow and arm. Effortlessly, she then proceeded to lay out the glasses on the dining tables. Needless to say, the waitress and her juggling act became the story of the day! The press folks clamoured to learn her skills and she was the talk of the town. There were no takers. After all, most wine journalists had seen this or had tried it. But I sat up when the host announced that he would perform the deed! Instead of a sabre, however, he picked up a champagne glass. Then holding the Champagne bottle in one hand, the export manager proceeded to slide the edge of the base of the glass along the neck of the bottle several times. Subsequently, the glass neck of the bottle broke off to resounding applause. I was amazed by the power of the lightest touch and how a brittle piece of glass could do so much. The manager later revealed that skill played only a small part. The pressure in a Champagne bottle is so great that a little tap in the right place often does the job of a sabre. Another media event I attended recently was especially memorable simply because it didn’t feel like one. It was a combined “trade” and “press” event that took place late in the afternoon. The reason for the timing was because chefs from various restaurants were invited and hence lunch could only take place after the chefs themselves had finished work. Needless to say, in the face of competition, the food was exquisite! Having a celebrity chef is a way to get noticed. Last week, I attended the launch of several Champagnes matched to dishes cooked by a French, three-star Michelin chef. The Champagnes were made all the more memorable when accompanied by innovative dishes such as lobster with turnip and rosemary, poached egg with maple syrup, monkfish with geranium oil, roasted duckling with fig tree oil. Two desserts – crème brûlée of celeriac and a candied tomato with ice cream – paired with bubbly brought cheer into the night.